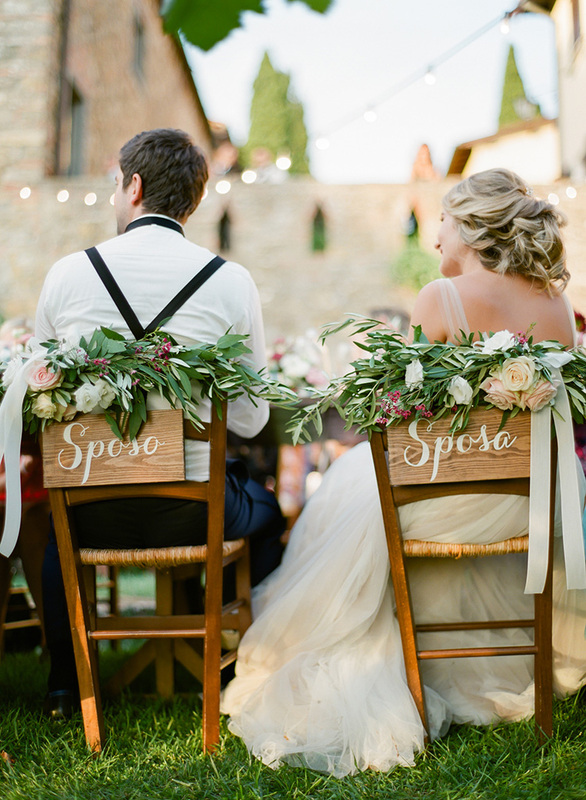 The project of a natural and rustic wedding in bold colors stole my heart from the beginning, when I first met Stephanie, the bride, and the final result, thanks to the pictures of Peter & Veronika, is absolutely stunning! 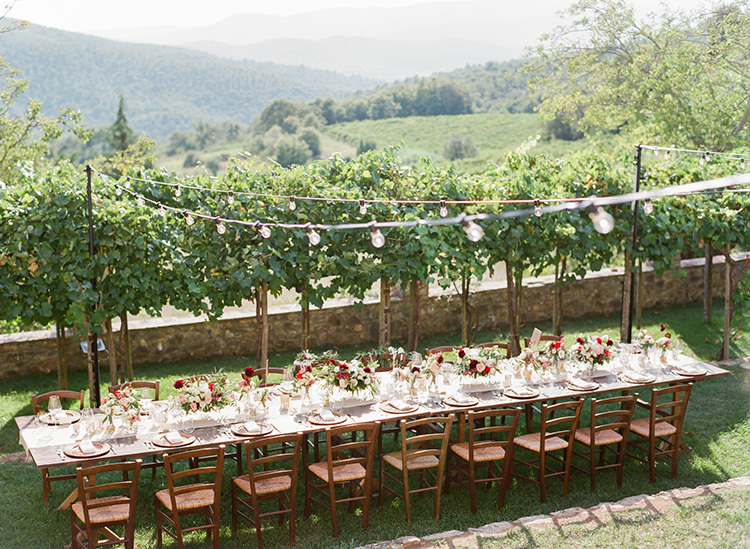 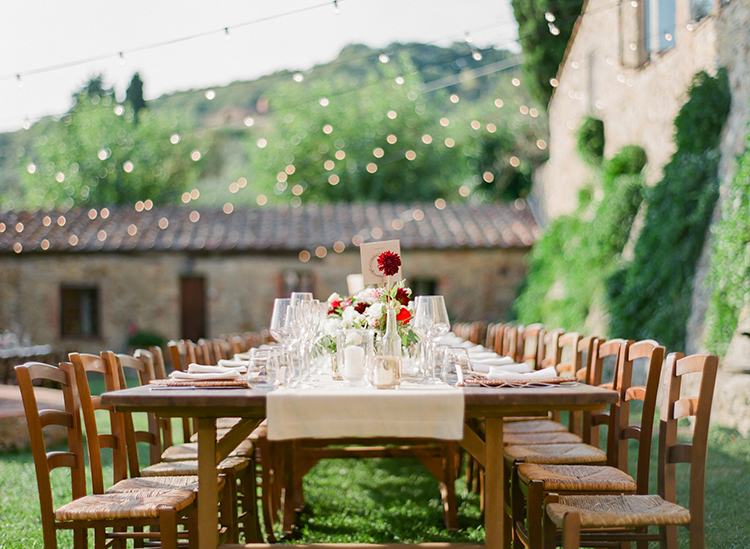 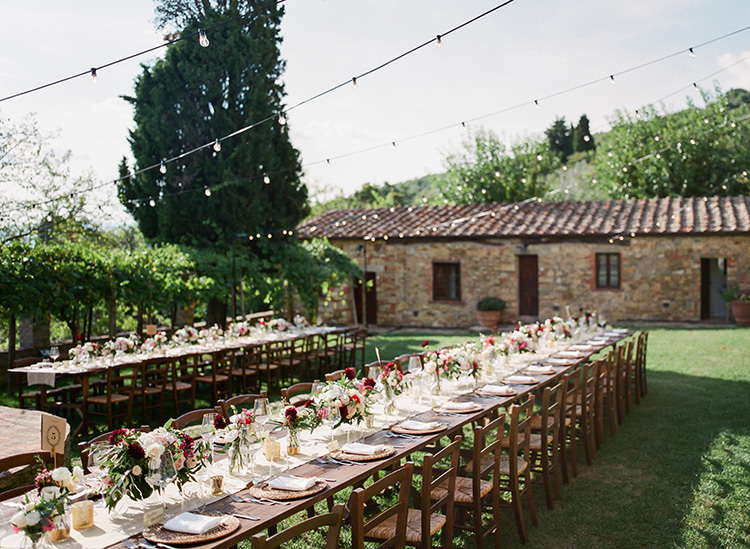 The wedding ceremony took place in the little town of Civitella while Montelucci was the perfect scenery for the reception, held under the string lights. 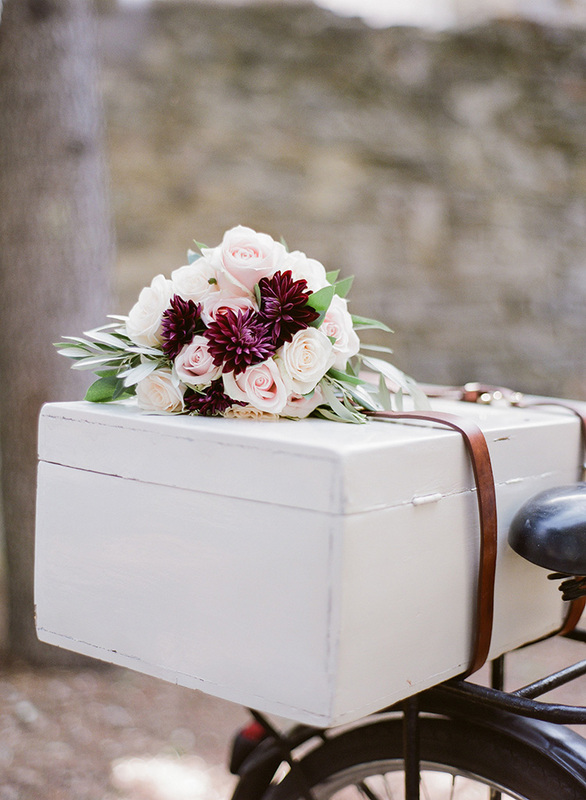 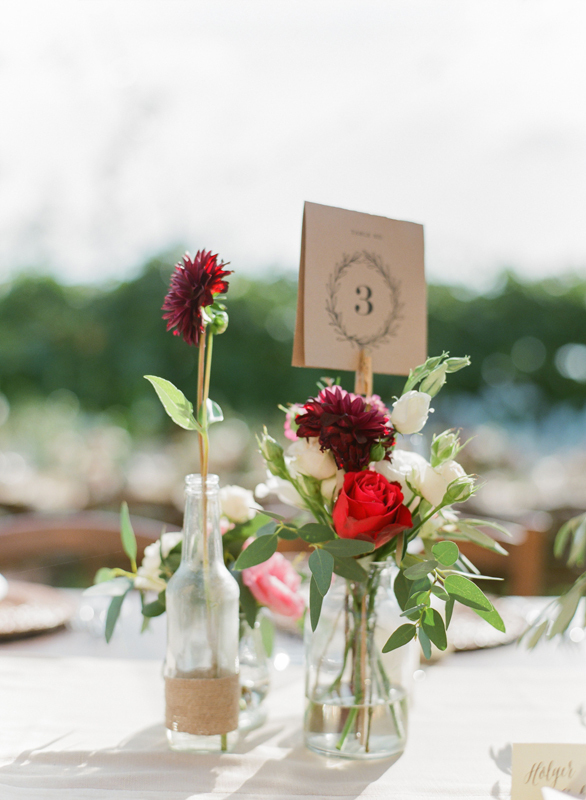 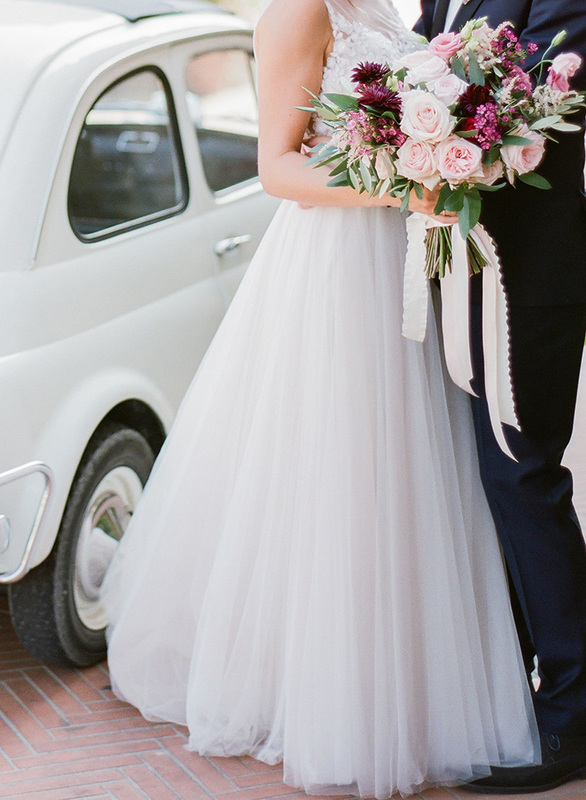 The bride opted for a casual, garden feel for all the decorations and especially for the bouquet. 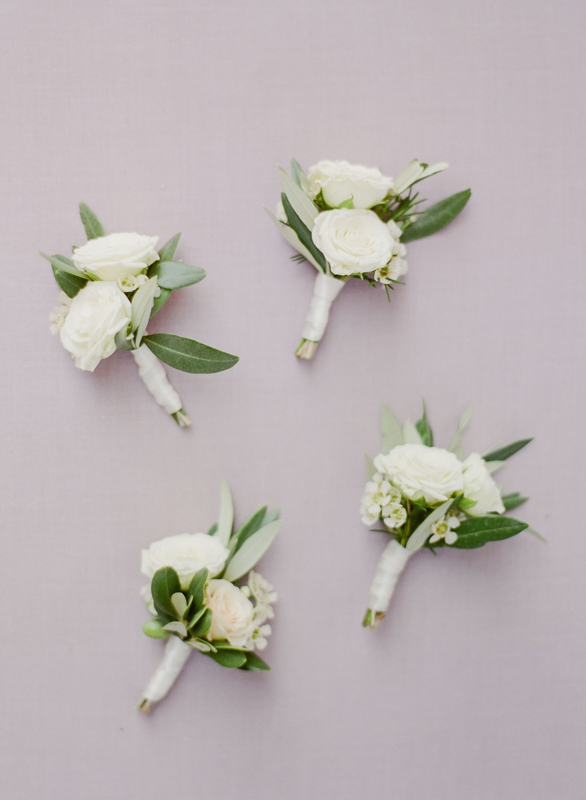 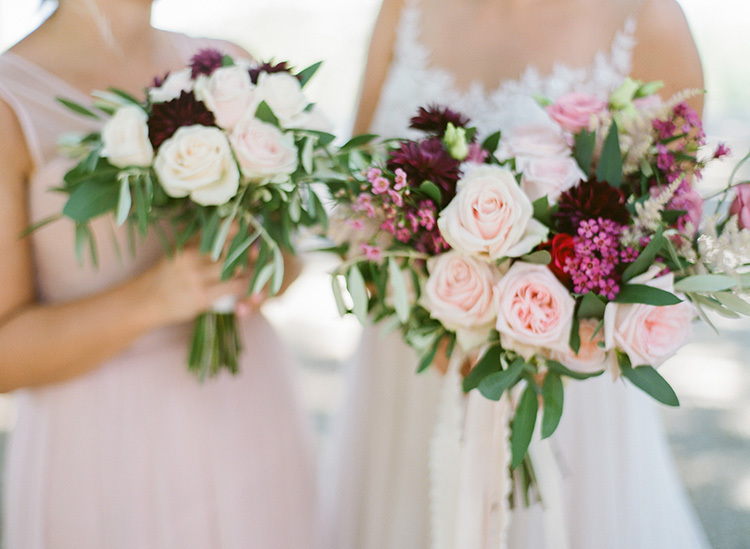 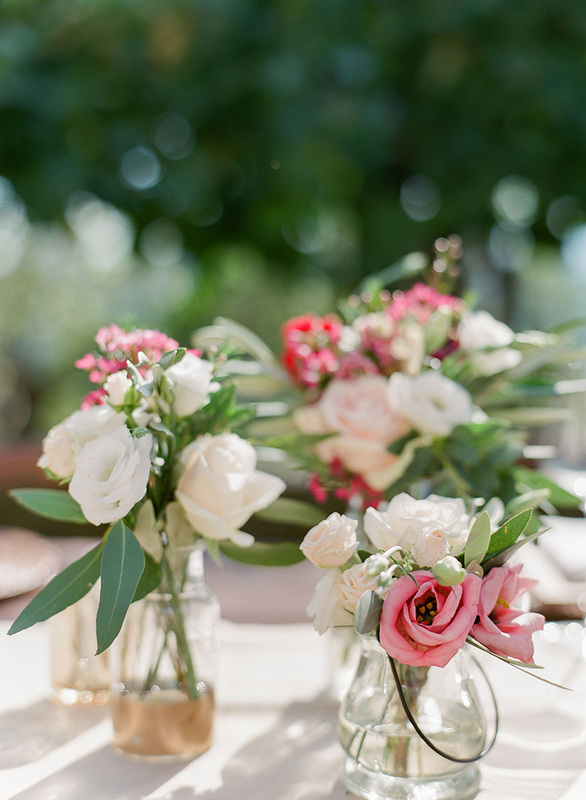 A loose bunch of blush pink garden roses, lisianthus, waxflower, olive branches and gorgeous burgundy dahlias. 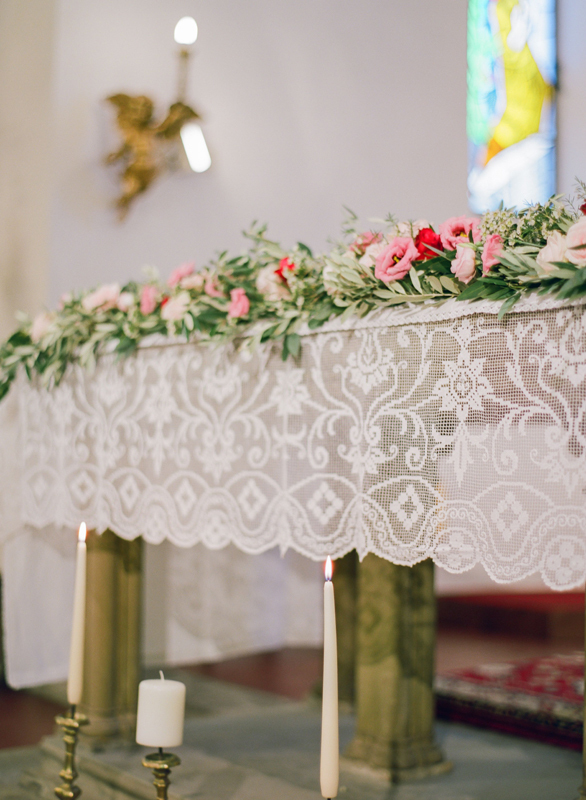 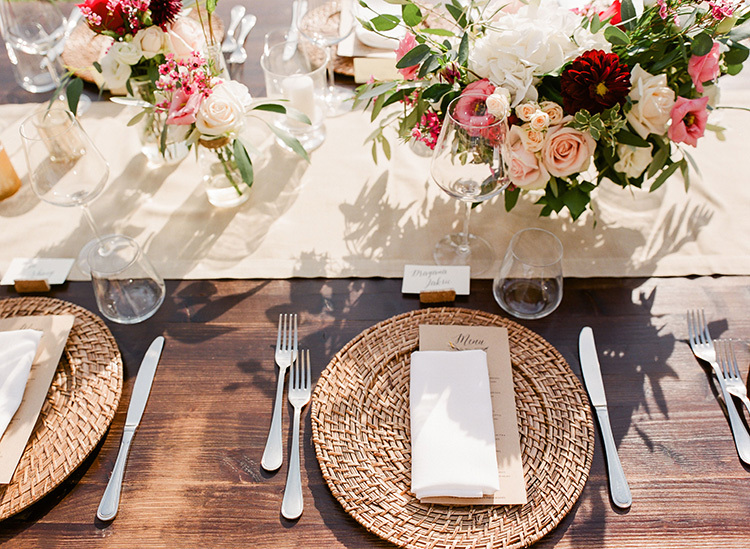 The table design followed the same theme: flowers in pink, white and burgundy shades mixed with gold details for a boho touch.